The resource section of this site contains links to (hopefully) useful resources and web sites to help you with your Internet marketing efforts. 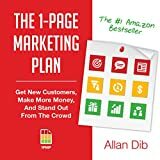 If you've been seeking a practical, day-by-day, do-it-yourself plan for success in your Internet marketing, this is the book for you. The latest in the very popular Hour a Day series, this book gives you step-by-step instruction and clear action plans for all crucial aspects of successful internet marketing: SEO, website optimization, integration of social media and blogs, and pay-per-click strategies. Above all, it shows you how to use analytics effectively, so you can track and understand your results, then course-correct as you need. "Launch" will build your business---fast. Whether you’ve already got a business or you’re itching to start one, this is a recipe for getting more traction. Think about it---what if you could launch like Apple or the big Hollywood studios? What if your prospects eagerly counted down the days until they could buy your product? What if you could create such powerful positioning in your market that you all -but- eliminated your competition? And you could do all that no matter how humble your business or budget? But the success-train was just getting started---once he started teaching his formula to other entrepreneurs, the results were simply breathtaking. Tiny, home-based businesses started doing launches that sold tens of thousands, hundreds of thousands, and even millions of dollars in sales with their launches. "Launch" is the treasure map into that world---an almost secret world of digital entrepreneurs who create cash-on-demand paydays with their product launches and business launches. Whether you have an existing business, or you have a service-based business and want to develop your own products so you can leverage your time and your impact, or you're still in the planning phase---this is how you start fast. This formula is how you engineer massive success. Now the question is this---are you going to start slow, and fade away from there? Or are you ready for a launch that will change the future of your business and your life? INTERNET MARKETING, 3RD EDITION provides comprehensive coverage of the rapidly changing field of Internet marketing that is timely and relevant. It relies on extant marketing theory where appropriate and introduces many conceptual frameworks to structure student understanding of Internet marketing issues. Above all, it works on the premise that the Internet--whether used as a medium of communication or as a channel of distribution--is only one component of the contemporary marketer's arsenal. The key issue facing marketers today is how to best integrate this powerful new component, continuing developments in Internet marketing into their strategies and media plans. That ongoing challenge represents the essential theme of this text.